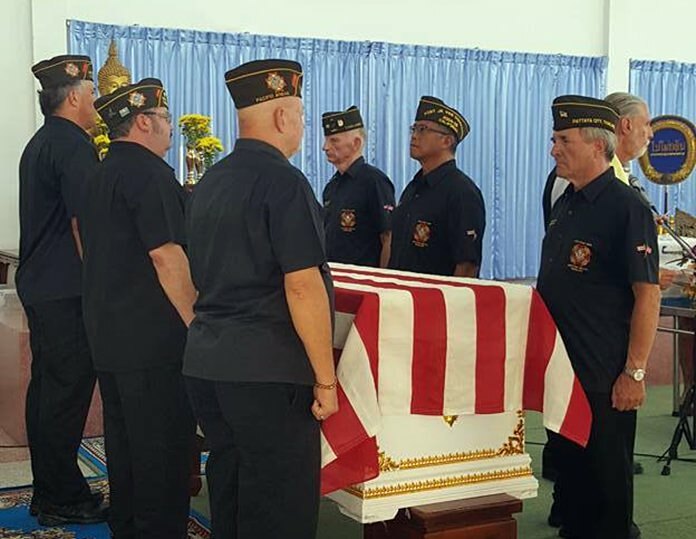 Members of Fred J. Estes VFW Post 9876 (Pattaya) and Banchang U-tapao VFW Post 12146, family and friends paid their last respects to Colonel (Ret) William “Bear” Hudson on 24 August 2017 at Wat Chaimongkol in Pattaya. Honor Guard duties were performed by VFW Post 9876. 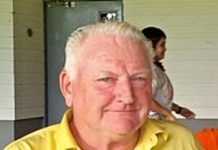 William Joseph Hudson, 71, of Pattaya, passed away on 17 Aug 2017 in Samitivej Sukhumvit Hospital in Bangkok. Honor Guard duties were performed by VFW Post 9876. William Hudson, known all over Thailand as “Bear”, was born in Cape Girardeau, Missouri on April 4, 1944. Bear graduated class of 1962 from Central High School in Cape Girardeau. He was pitcher on his high school baseball team, going undefeated with 21 wins to capture the Missouri State Championship. Bear attended the University of Miami and graduated class of 1973 with Bachelor of Arts English and Master of Arts International Business Relations degrees. He had a distinguished 20-year Military Career as an Army Lt. Col. with overseas service in Korea, Vietnam & Germany. 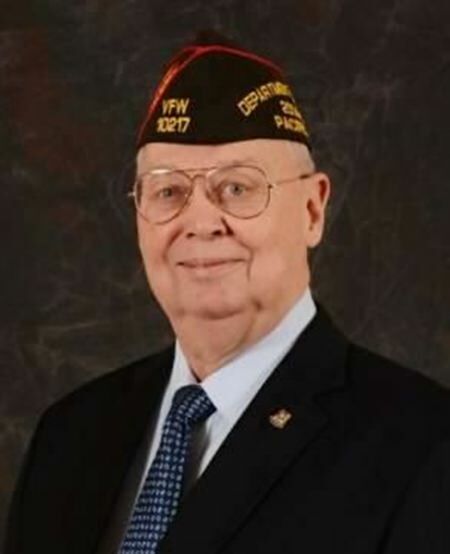 His Occupational Specialties included Field Artillery Unit Commander, Cannon Field Artillery Officer, Training Center Unit Officer, Nuclear Chemical Target Analyst, Adjutant General & Public Affairs officer. His numerous service awards feature the Purple Heart, Bronze Star, and Meritorious Service Metal with clusters. Following his military retirement Bear became a member of Veterans of Foreign Wars (VFW). He served his fellow comrades tirelessly through the years and in July 2015 he was installed as Commander Department of the Pacific Areas. As Commander, he travelled the Pacific and lobbied Congress in Washington DC to help veterans get “the care and respect they rightfully deserve”. He lived up to his motto “Fight For Our Vets”. Bear met his loving wife Mam in June 2003 and they were married October 4, 2004. Mam was truly the love of his life, along with their daughter Bang. Bear is well known throughout Thailand. 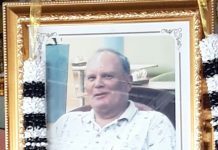 He was a regular in the old Washington Square days, lived in Bangkok, Surin, and Pattaya over the years. Avid sports fan and drinker of white wine. Of all his many accomplishments, the one thing we will all remember of our dear friend, is he was a true gentleman.